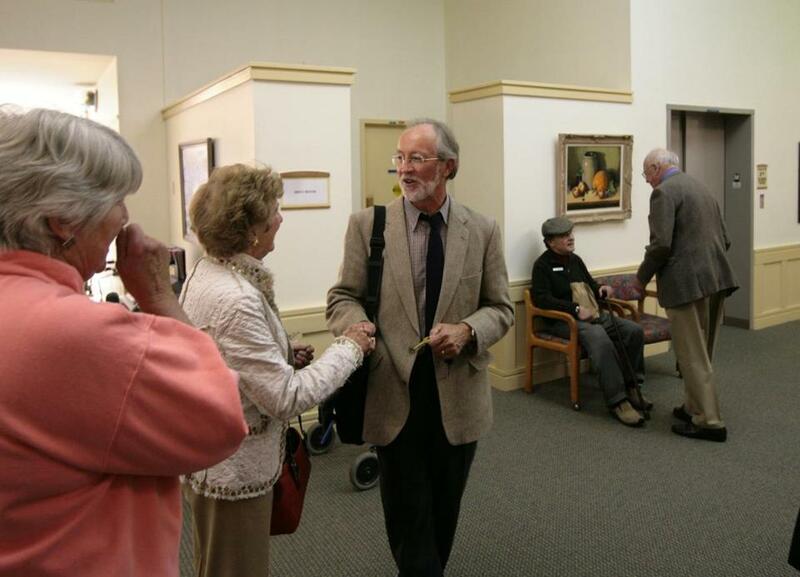 Dr. Dennis McCullough, an advocate of palliative care for older patients, visited a retirement home in Hanover, N.H.
NEW YORK — Dennis McCullough, a pioneer of the “slow medicine” movement, which advocates palliative care over invasive regimens for older patients suffering from the inevitable and irreversible decline of aging, died Friday in Bar Harbor, Maine. He was 72. Dennis Michael McCullough was born on Jan. 19, 1944, in Hancock, Mich., on the Upper Peninsula, and raised in Dollar Bay. His father, James, left the family when Dennis was about 5. Dennis McCullough recalled being raised by a single mother, the former Bertha Juntenen, on welfare in a poor Scandinavian-American mining town. He married Harrison before graduating from medical school. In addition to his wife, he leaves a daughter, Kate McCullough; two grandsons; and a sister, Maureen Dolan. Dr. McCullough practiced over the years in Canada, New Hampshire, Wisconsin, the Caribbean, and Vermont. From 1994 to 2002, he was the chief clinical officer in the Department of Community and Family Medicine at Dartmouth-Hitchcock Medical Center in Lebanon, N.H., and he was recruited as the first medical director for Kendal at Hanover, a retirement community, where he honed his slow medicine procedure.